Day 114: Hong Kong Observatory App: Who Writes these Forecasts? Today I decided to pull up my handy Hong Kong Observatory app. It’s the app that everyone in this city uses to see what the weather is, what it will be like, and how afraid we should be as we go about our lives. Translated: Good luck figuring out the weather! I have spoken english my whole adult life and speak very good broken English, which helps me understand virtually anyone who has even a tiny bit of English capability. Nonetheless, the Hong Kong Observatory app’s forecasts are unnecessarily silly to me. I probably feel this way because I cannot stand when people use jargon instead of simply being clear. 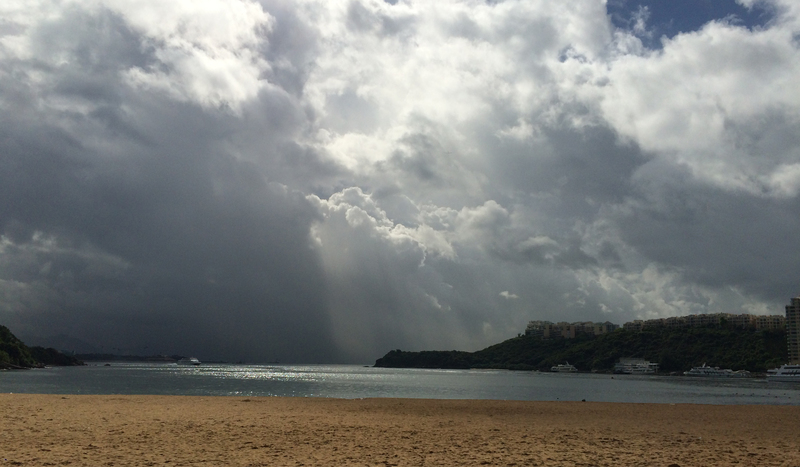 “cloudy with squally showers” – ok, cloudy with some showers. And those showers are Squally. Ok??? “moderate to fresh east to southeasterly winds, occasionally strong offshore and on high ground” – ok, kind of windy but it might get fresh with us, and from the southeast. Then It says that it will be stronger on the land than the water, and up in hills. “there will be swells” – ok, like “swell” in the 1950’s sense, where everything is nice? Or like swollen? Either way, we know it will happen. 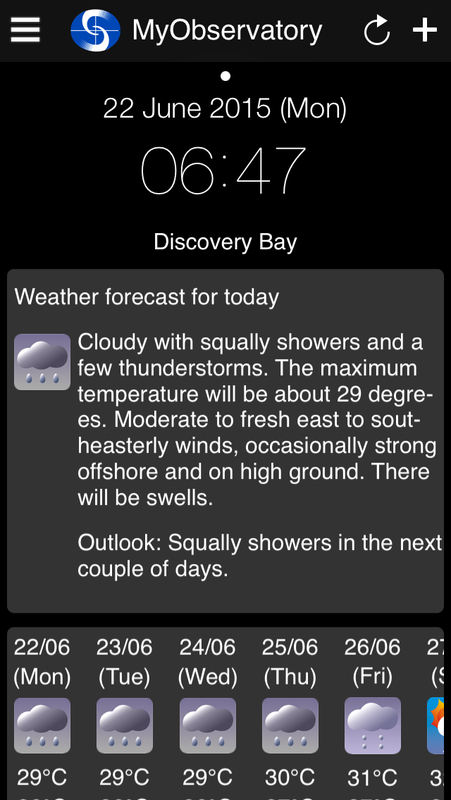 “Outlook: Squally showers in the next couple of days.” Maybe they mean “squirrelly”? Hmmm, that also doesn’t make sense. You can see there are really 2 words that must be special to either Hong Kong, British English, or Meteorologists: Squally and Swells, and using context clues you can basically figure out that Squally must means sporadic and strong, and Swells must mean strong rain on the water/ocean. The question is, why don’t they just use simple everyday terms, if it is supposed to be an app to help people? Uh-oh. That looks squally. Or is it a swell? OMG! Made me laugh out loud on the MTR!! !